In my child’s mind, Dad was famous. I can still see a caricature of him from the newspapers when he captained Sandringham in the Victorian Football Association – all knee bandages and broken-boned – which we kept pinned on the toilet door. Placing it there strikes me now as most unfair. When I was about 2 1/2 years old, Dad started taking me to see Collingwood play. Although he only learnt one song at Clifton Hill Christian Brothers College, Dad, a lapsed Catholic, often sang me to sleep by intoning My Old Shackoe over and over again. It was from hearing the footy and cricket commentators on the radio with Dad that I became aware of the magic of words and the intricacies and tricks of language. “Eat ’em alive!” ‘Captain Blood’ Jack Dyer would scream. “They say you’re a star, son. You won’t be shining today.” Alan McGilvray and Johnny Moyes could make a dull and boring cricket match sound like a breathless Resurrection. There was always so much going on – googlies and bumpers and new balls and no balls and little boys with dogs darting on to the field. Every Christmas Day, my birthday, Dad would recount how, in the 1938 grand final, Carlton’s Bob Chitty, our garbo who lived nearby in East Brighton, bit the balls of Collingwood’s star full forward Ron Todd as he flew to take a mark. It was, Dad said, called “squirrel munching”. Apocryphal or not, the story was the highlight of my day. Although Dad played all his games at Collingwood with the seconds, he had the misfortune to be at the club when they were at their peak. Collingwood appeared in six consecutive grand finals from 1925 to 1930, winning the famous four in a row (1927 to 1930). Collingwood missed the finals only three times from 1919 to 1939. In those great decades, we won seven flags and came second seven times. Apart from Norman Vincent Peale’s The Power of Positive Thinking, which lay on his mantelpiece, as far as I know Dad never read a book, but he did devour comics and The Sporting Globe. 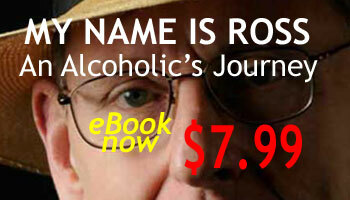 His own father having been an alcoholic, Dad neither drank nor smoked. When I went to Monash University I tried to be his opposite, repudiating much of what he offered me. As a footballer, I wasn’t much good. I didn’t make the First 18 at Melbourne High School, always played for the seconds. At Monash, although I did well at cricket, at football I again played for the seconds. I did manage once to kick three goals in a quarter: one from an impossible angle, one from the centre when a gust of wind seemed to blow the ball interminably, and the other I dribbled through. I never kicked any more for the match. However, fuelled by rum and amphetamines, I was a “most courageous player”: 90kg and fearless, I rucked for four quarters and would have run through an army tank. In 1977, I moved to Brisbane. Under the remarkable coaching of tea-drinking Tom Hafey, Collingwood had come from wooden spooners in 1976 to playing in the grand final. For only the second time in VFL history, the premiership battle was a draw. Immediately after the second grand final, on October 1, 1977, when Collingwood lost by 27 points, I sat speechless in front of the TV, half-believing there would be an announcement saying: “There’s been a dreadful mistake.” It was soon after that terrible defeat, or perhaps in 1980 when his old club Richmond pulverised Collingwood by 81 points, that a TV interviewer asked Hafey: “What do you find funny about football, Tommy?” Tommy answered: “I don’t find anything funny about football.” I understand exactly what he meant. Such defeats gut me, utterly. In 1987, my beloved team hit an all-time low. On Saturday June 20, playing against North Melbourne, our firsts, reserves and under-19s managed just four goals between them in virtually six hours of football. Our seniors scored 2.6 both goals coming in the second quarter courtesy of our steel-eyed full forward, Brian Taylor, who had just returned from suspension. As Dad taught me by example, Aussie rules is a metaphor for life. In football things soon change. Hence, a mere three years after our all-time low, we won our 14th VFL/AFL premiership in 1990, slaughtering Essendon by 48 points. Then, in 2010, the first Collingwood-St Kilda grand final, played before a record crowd of 100,016 spectators, was another draw. The wayward Magpies kicked 9.14. 68 to the Saints 10.6. 68. Fortunately, the next Saturday we Magpie supporters shed tears of joy, when, in the replay, Collingwood trounced St Kilda by 56 points, thereby winning our 15th premiership. Ross Fitzgerald and Ken Spillman’s ‘Australia’s Game: Stories, Essays, Verse & Drama Inspired by the Australian Game of Football’ is published by Slattery Media on Monday. On Tuesday August 6, from 6 to 7pm, there will be a function at The Sydney Institute (41 Phillip Street, Sydney) celebrating our book AUSTRALIAâ€™S GAME â€“ with Peter Corris, Barry Oakley and Ross Fitzgerald speaking. Please feel free to come & let anyone else know who may be interested.